The Whitehouse team was appointed by the National Obesity Forum in 2013 to create and implement a public-facing health campaign, the purpose of which was to raise awareness of UK obesity levels and encourage the British population to improve their health. 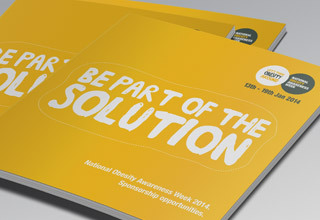 For the first two years the campaign was called National Obesity Awareness Week. It was rebranded for 2016 as JanUary to encourage the greatest possible public, corporate, political and charitable participation. The JanUary campaign has brought together partners including Heart Research UK, HENRY (Health Exercise and Nutrition for the Really Young), Disney, Danone, Alpro and MyTime Active. For the first two years of the campaign, the Whitehouse team created and implemented a competition for school pupils across the UK to encourage their healthy living and physical activity habits. The first competition required older pupils to create healthy recipes, with younger participants submitting pictures of healthy meals. The winners were recognised at a Downing Street reception hosted by Samantha Cameron, with one of the winning recipes served as a canape at the event. The second competition required pupils to either create picture diaries of their physical activity or create a new sport, with entries including spacehopper football. The winning sports were tested by local schoolchildren in a specially organised event in the Copper Box on the Olympic Park. For two years the JanUary campaign has included a parliamentary quiz on healthy eating contested by primary school pupils captained by their local MP and celebrating their participation in a healthy living programme called Eat Like A Champ. The 2016 quiz was compered by former Blue Peter presenter Helen Skelton, attracting parliamentary attendance and national media attention. The Whitehouse team has supported the drafting, publication and promotion of keynote reports from the National Obesity Forum during each JanUary campaign – providing the charity with a platform to highlight positive recommendations to improve public health, including best practice in schools. The Whitehouse team scheduled the annual JanUary campaign as a means of encouraging members of the public, businesses, charities and political decision makers to commit to changes that would improve public health outcomes – asking them to commit to a National New Year’s Resolution to improve the nation’s health. This has been supported through regular contacts with sports teams and celebrities, encouraging them to impress upon their followers and fans the importance of making resolutions via social media that represent manageable and sustainable health lifestyle changes. To date the JanUary campaign has secured more than 500 pieces of media coverage, including a national profile via front-page stories in The Times, Daily Mail and Metro. The campaign has also featured on BBC’s Newsnight, BBC Breakfast and Good Morning Britain. Our work has led to successful events in Parliament, 10 Downing Street and the Copper Box, and enabled campaign partners to contribute to the national debate on how to improve public health, while celebrating the commitment of individuals across the country; facilitating hundreds of national events; and providing sporting equipment for more than 20 schools. The campaign’s social media activity had a reach of more than 21 million people in 2016 alone.